Learn what volleyball strategies you have to score points and siding out using the tip. 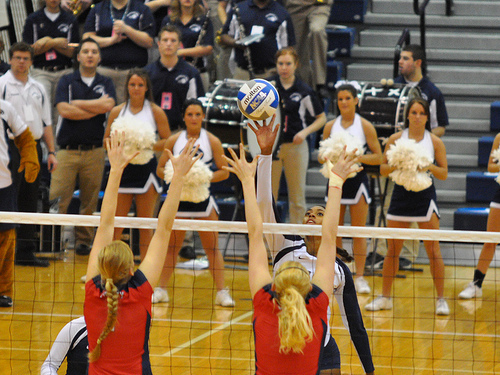 Learn six volleyball strategies to score points or sideout by using the tip as an option. Instead of spiking the ball hard all the time, there are offensive volleyball strategies you can use when you attack the ball, especially if you're facing a big block. A tip is the way to attack the ball using your fingertips to contact the ball in a soft contact to place the ball in the opposing team's court to score a point. To make a tip legally, you need to make sure you don't lift the ball or hold it or let it come to a complete rest in your hand. When your fingertips contact the ball your contact needs to be soft, quick and done so the ball doesn't contact the palm of your hand. Learn six ways how to score points or sideout by using the tip as an option to hitting hard spikes. 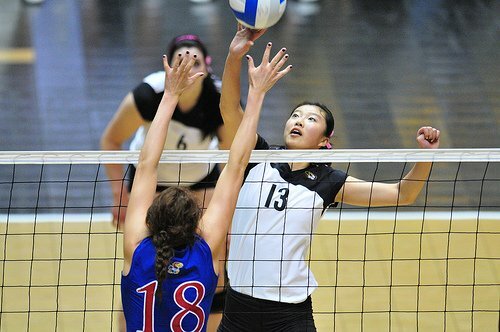 Use the tip to score a point or sideout if you are an outside hitter who gets a set close to the net. Aim the ball at the block’s outside or external arm and wipe the ball off the block’s forearm. Be the last player to touch the ball in a joust. 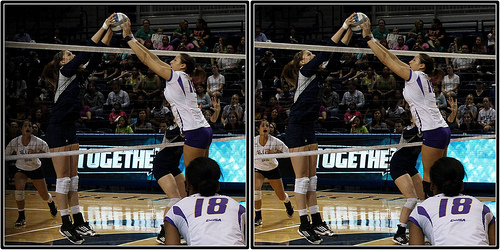 When two players contact the ball at the same time over the net, the second one to touch the ball almost always wins. The second player has the advantage of going up and pushing over while the first player comes down, losing momentum on her way. 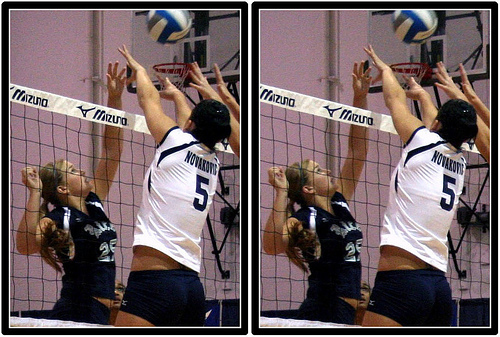 Volleyball Strategies for the Tip: Be the last player to touch the ball when you find yourself in a joust situation. When you anticipate a joust situation forming, wait as long as possible before putting your hands on the ball and pushing it over into the opposing court. You can very often save a tip gone bad and win the joust by using this strategy. Confirm with your teammates that the opposing team is playing man-up defense with a player responsible for picking up the tips, playing right behind the block. You now know you have deep court open spaces you can tip to. In practice, learn to tip high over the block to the deep corners of the court during rallies. Volleyball Strategies for the Tip: Tip the balls everyone expects you to hit and hit the imperfect ones that are a little off the net that everyone expects you to tip. Tip on a good set. Be unpredictable by mixing up your shots. Tip the balls everyone expects you to hit and hit the imperfect ones that are a little off the net that everyone expects you to tip. Be smart and use common sense. Leave those balls that are below the net height or too low to hit to. Tip to the middle of the court instead of behind the block. The middle of the court is almost always the sweet spot on almost everybody’s court. It’s where points are often made, and where balls fall because no one is covering that area. When you’ve been blocked a couple of times and you’re looking to change up your attack, especially in long rallies, remember that the middle of the court is almost always open especially when you feel you don’t have any hitting options. Or visit the pages in the Strategy section in the drop down menu at the top of the page to get started.